A blog highlighting all that guides and inspires great interior design. Rhythm is all around us. We hear it but we also see it, sometimes without realizing it. It’s an inherent part of nature. In the world of interior design it is one of the guiding principles. It creates interest, focus and leads your eye through a room. It can be subtle or make a bold statement. It is attained though repetition of any of the design elements: line, color, light, texture, pattern, scale or proportion. Alternating two or more elements in a regular pattern is another method. Progression is also a way to create rhythm (for example moving from light to dark ombre). Below is a sampling of some great rooms, and a few of the ways we incorporate design elements to create rhythm. Rhythm comes into play in various ways in this room including the color blue, the wallpaper pattern and the crown moulding detail. The grand beds, with their graceful curves and black and white linens make for a beautiful and restive retreat. Notice the rhythm created by using the same dark wood of the beds for the artwork and mirror framing. 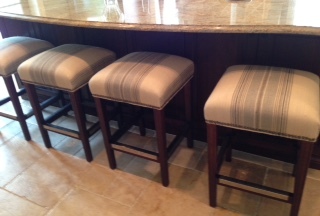 The same color tone and straight lines can be seen decorating the shams. The vertical lines of the canopies are repeated in the wood detailing of the ceiling. 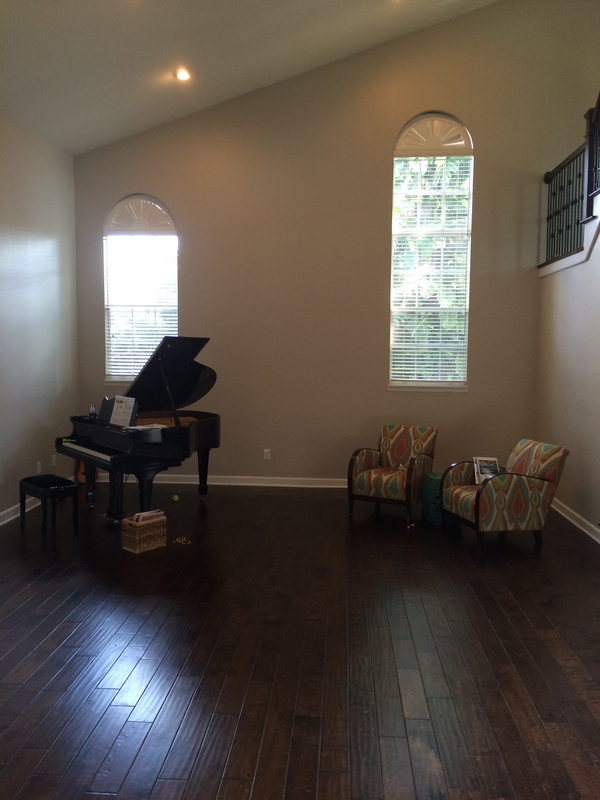 In the picture below, we love how the floor pattern creates rhythm through repetition and leads your eye across the room as you enter. There is also the repeat of the great turquoise tables and brass mirrors (balance is here too – revisit our 1st Design Principles blog, Balancing Act). The detailed crown moulding is another example of rhythm at work. Again, a floor pattern that draws the eye around the room, is mirrored by the patterned ceiling in this gorgeous room by Kelly Werstler. The colors, black, brass, and gray, are repeated throughout (the black table, grey sculpture and small gold accessory in the forefront even maintain the beat here). 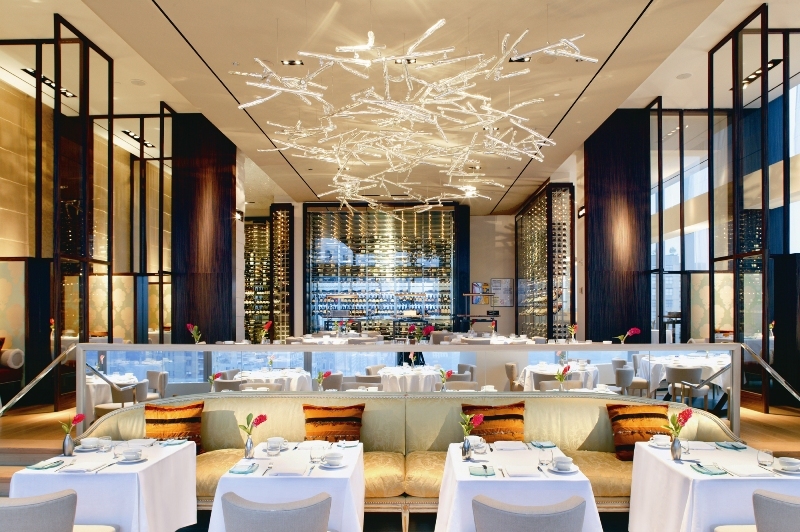 At Asiate, a restaurant in the Mandarin Oriental Hotel in New York City, you can imagine having a quiet, elegant dinner among the seemingly endless rows of booths and tables. There is repetition in the architecture, the wallpaper in each booth, and the accents (the pillows, the simple red flowers and silver vase), and the multiple system of lights installed to create an airy sculpture. Creating a somewhat predictable (yet interesting), easy to follow rhythm in commercial spaces is important in influencing the emotional state of customers and clients. Calm, comfortable patrons (as well as employees) are the happiest! In your own home or commercial space you can create rhythm through lighting installations, artwork, tile and fabric patterns. 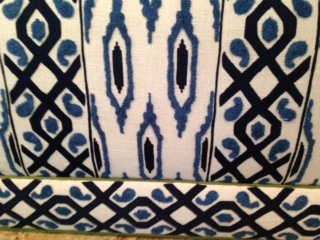 We used this Ikat for a client. 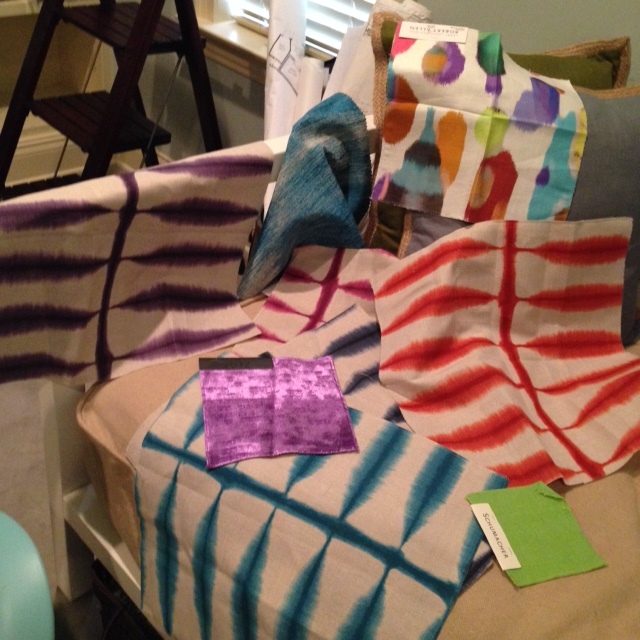 Ikats are bold and can be found in various colors, patterns and textures. Rhythm can be subtle and natural. Sometimes, with Rhythm, more is more. Spelling rhythm may be the biggest challenge…soooo many consonants! Thank goodness for spell check. 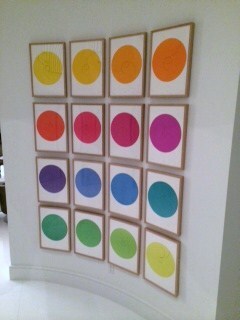 Send us pictures to add to our rhythm collection. Surrounding’s Marketing/Media Director turned us on to Society6. It’s a site that offers artwork in various formats to create fun home decor (everything from prints and canvases to mugs and tote bags) at unbelievably inexpensive prices. They have accent pillows, art, clocks, shower curtains, rugs and bedding. A collective of artists from around the world join and allow their artwork to be turned into original decor. Throw pillow available from Society6. Original artwork Wall Clock, using Chanel logo, by Can Encin, available at Society6. We’ve decided to use some of their products in a teen bedroom currently in the works at Surroundings. 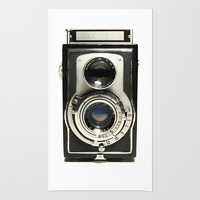 We love how Society6 carries a theme across the board — one stop shopping for the fun at heart. This was also a way to experiment with another new discovery, Sampleboad (but that’s a subject for a blog post of it’s own in the future). Bedroom Sampleboard by Surroundings Interiors. 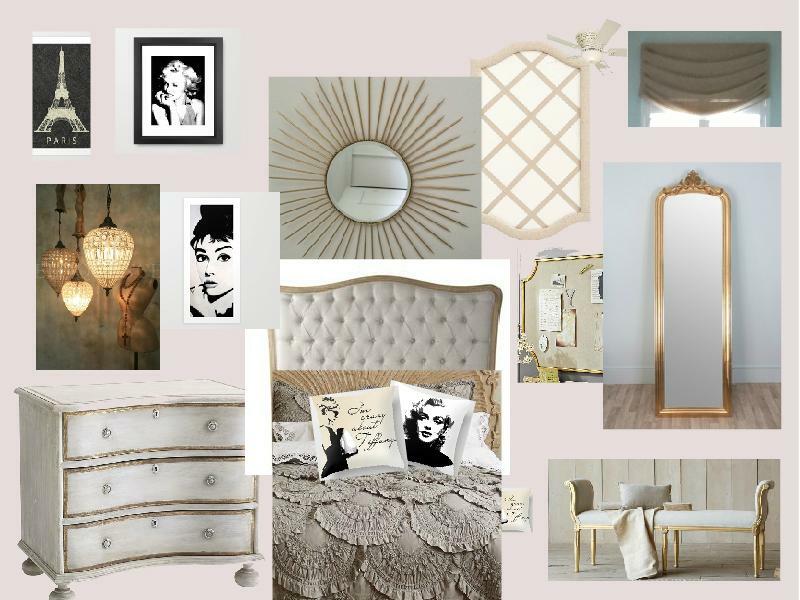 This teenager wants a Hollywood Glam/Shabby Chic bedroom. Audrey Hepburn and Marilyn Monroe are favorites. There were hundreds of Audrey and Marilyn prints, pillows, shower curtains, rugs and wall clocks from which to choose. We have used a few of their framed prints and throw pillows for this project. It was a tough decision! Shower curtain by Stephanie Dubois. Lego Patent Art Print by Hugo Pascoal. If you check out the Society6 website, you can spend lots of time scrolling through thousands of prints, from Hollywood icons, like Audrey & Marilyn, to funny quotes and bright, abstract collages. Perfect for the kid, teen, or college student in your life. Great place to find fun room decor. We enjoyed our time browsing their collections, and can’t wait to complete this teen bedroom. Watch for photos of the final product! We are just beginning a new project on beautiful Snell Isle. 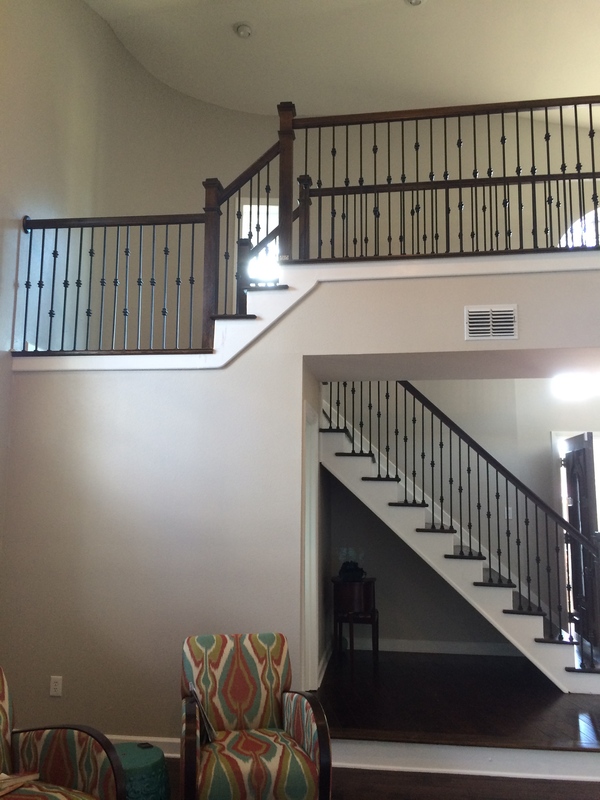 A family of four recently purchased this two story, five bedroom home and they plan to embark on a major update. Previous owners left behind a mix of styles and features that take away from the contemporary, open feel of the house. Also, it is important to this family, who just moved to the area, to settle in and make their new place feel like home. Follow along as we begin! 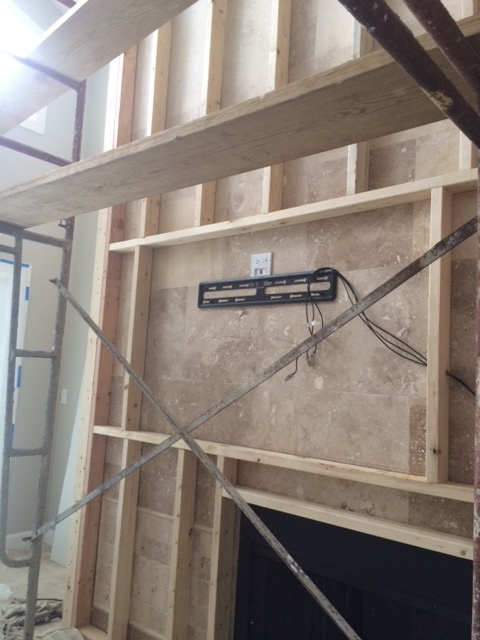 In the family room, we will be redesigning the fireplace and pulling in the wood tone from the living/dining room flooring. 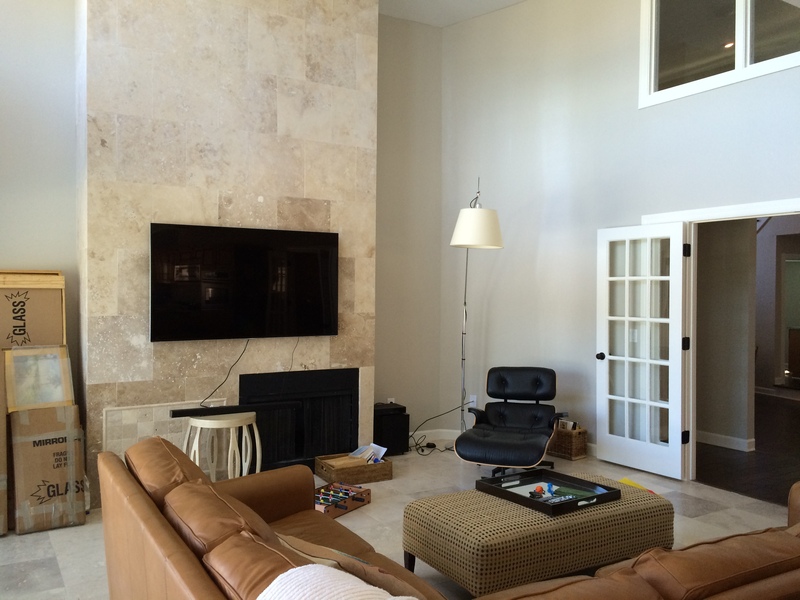 Although the travertine floor and fireplace are nice, warmth and architectural interest is lacking. We will add color and tie all of the areas together through wood detailing, fabrics, and accessories that reflect the family’s personality. The powder bath, pictured above, is generously sized. 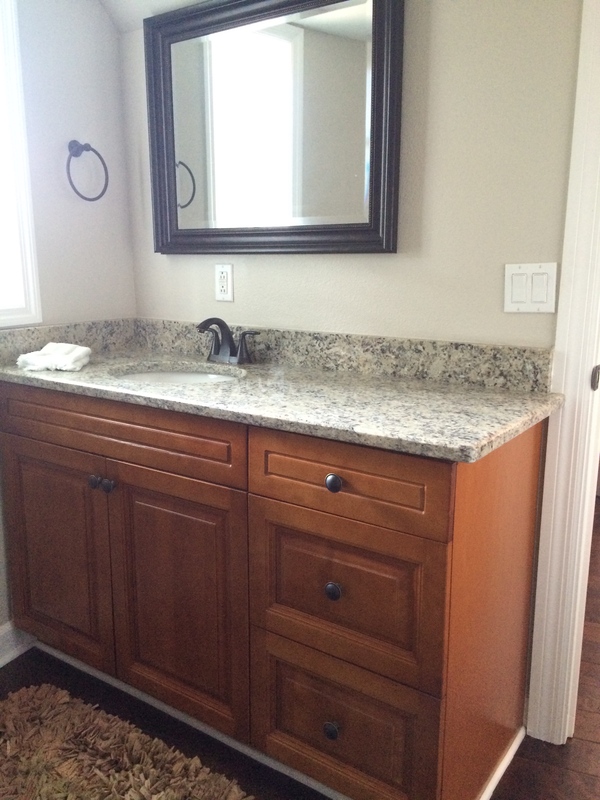 The clients want to replace the existing cabinet with a sleeker sink, add wallpaper, replace the mirror, lighting and plumbing fixtures. 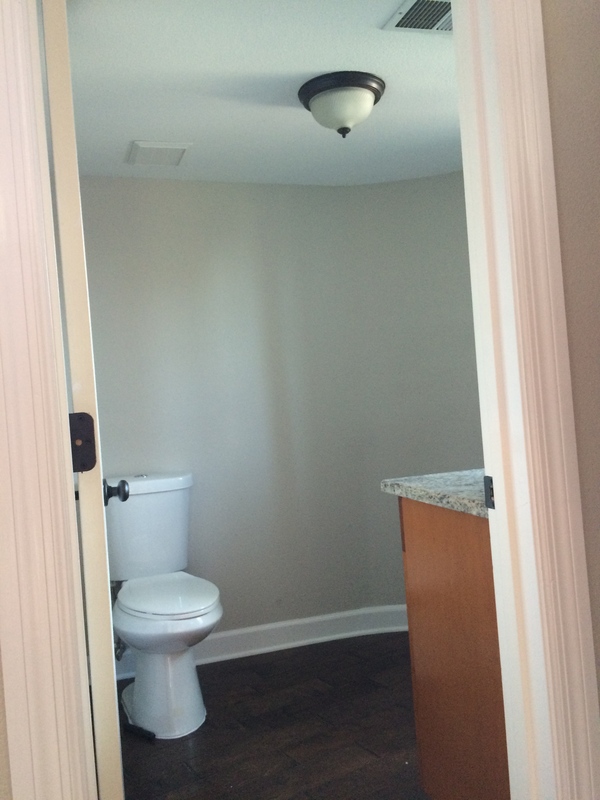 This bathroom is adjacent to the front entry of the house, near the living area so it needs to provide the WOW! factor. Here’s a peek at the wallpaper. It is a bold and colorful contemporary geometric from Cole & Son. The impetus for our color scheme starts here. 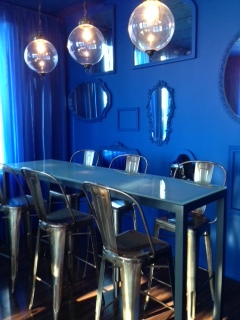 Our clients want a modern, fun – yet functional – space with a neutral background and bold pops of jewel toned colors. After a morning at our local designer showroom, Interiors Trading, we pulled these fabrics. They are bright, with neutral backgrounds and natural patterns. Bertoia Counter Stools with bright seat pad. The transformation begins! Our great crew, led by Steve Pres, started this week. Changes are underway! 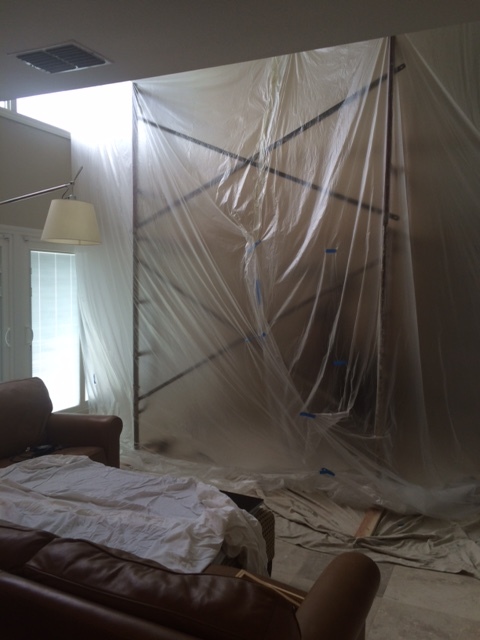 We’ve staged this project so that work on the entire house will never be taking place at one time — our clients can live comfortably in their home (as long as the kids stay off the scaffolding). 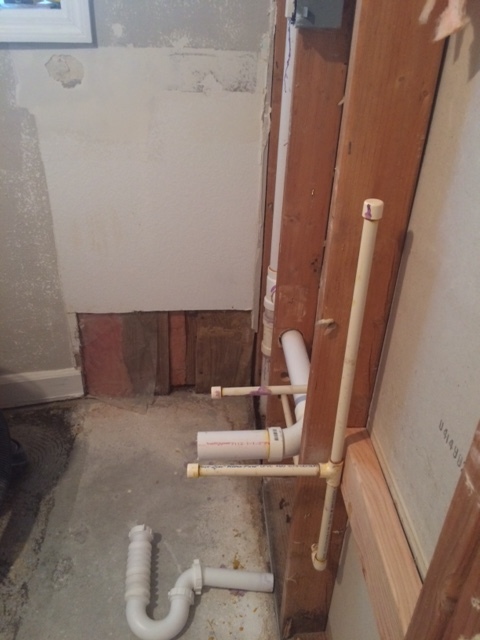 As we progress we will share the ins and outs of the project, so check back for action and “After” photos! What do you think? Ready to join us on this colorful adventure? Surroundings is swinging into 2016!